The DIACOM-Lite-FREQ-USB device is registered and has obtained certification as a combined measurement device that measures the electromagnetic fields of low voltage and generator of low voltage of electromagnetic waves . The device has passed all tests, including electromagnetic security, environmental harmlessness and safety for people and animals. Externally the device is a rectangular box with three LED indicators on the front panel and with three connectors from one side and connectors FREQ on the back panel. The dimensions of the body of the equipment are 156 x 180 x 36 mm . The set of equipment include, in addition to the main unit, electromagnetic Bioinductores, USB cable , electromagnetic Reprinter shaped as a glass and FREQ cables. The device delivers in a reusable cardboard box. Inside the main unit there are: radio-electronic panel with components - including a system of protection against hacking, system of communication with a personal computer, system for the generation and detection of low voltage electromagnetic fields and scheme for the generation of low voltage electromagnetic waves. The device is designed primarily to study the dependence and the influence of electromagnetic waves of low voltage in different areas of the environment of human beings and animals, as well as the impact of these fluctuations to the human body. The low voltage generator of electromagnetic waves that is available on the device while working can affect microorganisms and especially pathogens. The combination of these two technologies allows deeper influence of electromagnetic waves in different areas of the environment of human beings and animals. To perform these studies software can be used, which is freely available. 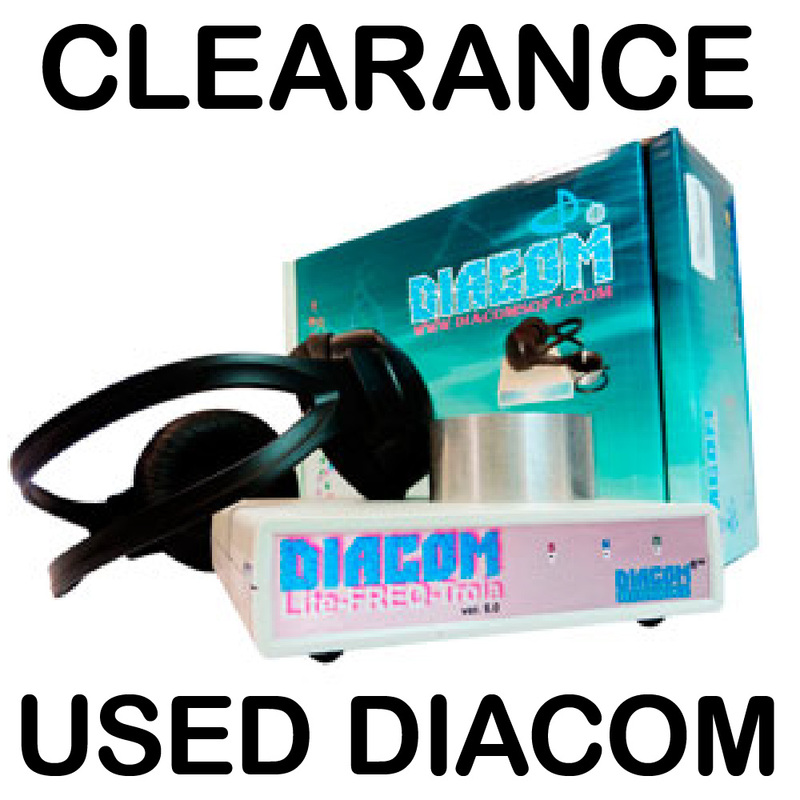 In particular, DIACOM -MONITOR and DIACOM-GENERATOR are programs designed to work with this device. To pair the device with your computer you need to download and install the driver. Power supply - USB- port on your computer.